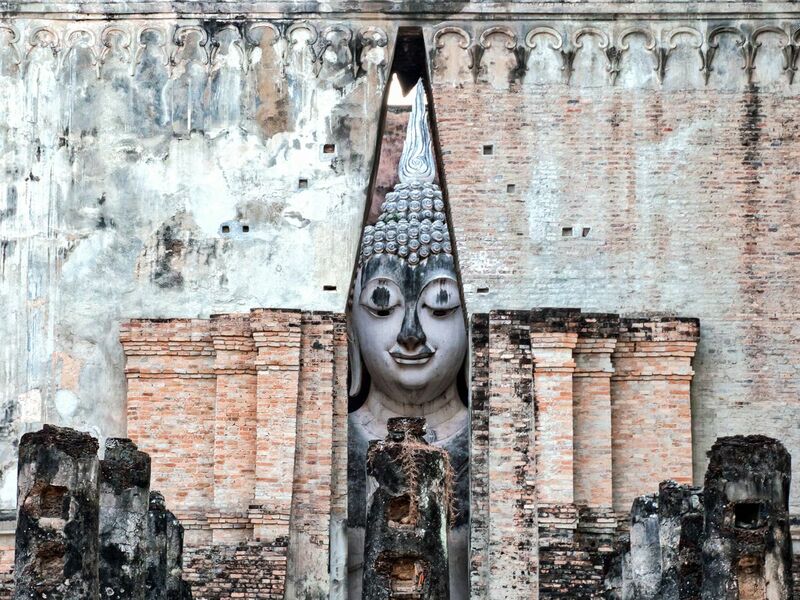 Explore the twin city - Sukhothai and Si Satchanalai in one day. This trip will let you discover the meaningful religious beliefs by exploring ancient monuments and doing a workshop inspired by local wisdom. Visit Wat Phra Si Rattanamahathat Chalieng, ancient temple with Khmer influence situates by the river Yom, the main river of Sukhothai. Visit ancient kilns (Tao Turiang) that were used to produce renown Sukhothai ceramics (Sangkhalok) as important exported products to overseas and you can also explore modern-day Sangkhalok factory nearby. sightseeing by bicycle in inner area of Sukhothai historical park , Wat Mahathat – center of the town, Wat Si Sawai, Wat TraPang Ngoen and Wat Sa Si. After exploring all Buddhist temples, give yourself a learning of religious perspective, faith, and devout belief by doing a workshop of Buddhist terracotta votive tablets by local artisan. You will get your DIY artworks back as a reminder and souvenirs. Exploring two world heritage sites in one day and experiencing workshop of local wisdom by local artisan. Dress properly because we will visit many religious places. Tananya was very accommodating with the needs we had. We planned a one day tour and she took care of everything and we got to see all the important sites in the city. We also needed to buy some medicine and she was kind enough to help us search the medicine everywhere we could. She also took us to a local’s restaurant and the food was Thai authentic, most tours took us to tourist restaurant where we had everything but gay fiod, so this was a bonus. In general it was a great experience. Thank you so much for your comment, I'm really appreciated that you enjoyed the trip.